The Floating Market of Damnoen Saduak is one of the most popular tourist attractions near Bangkok. 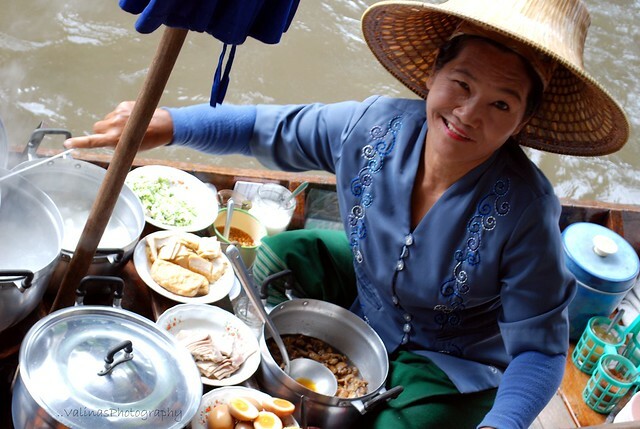 When you are there, you can order all kinds of snacks and food from vendors who sell out of their boats. Nowadays, this is done for tourists, but many years ago this was just a question of convenience in Bangkok, because there were not as many roads, and selling from boats was the best way for sellers to bring their foods to the people.